A delicious appetizer for your holiday gathering — sweet potato and salmon croquettes. 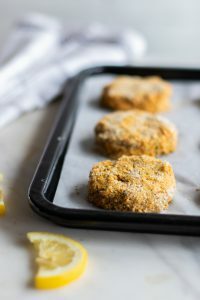 This mindful baked croquette is easier to make and serve to a crowd! 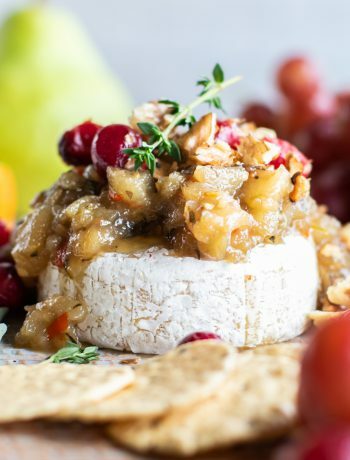 These make a delicious lunch or dinner alongside a salad. Peel and slice sweet potatoes, and add to a baking tray along with salmon fillet. 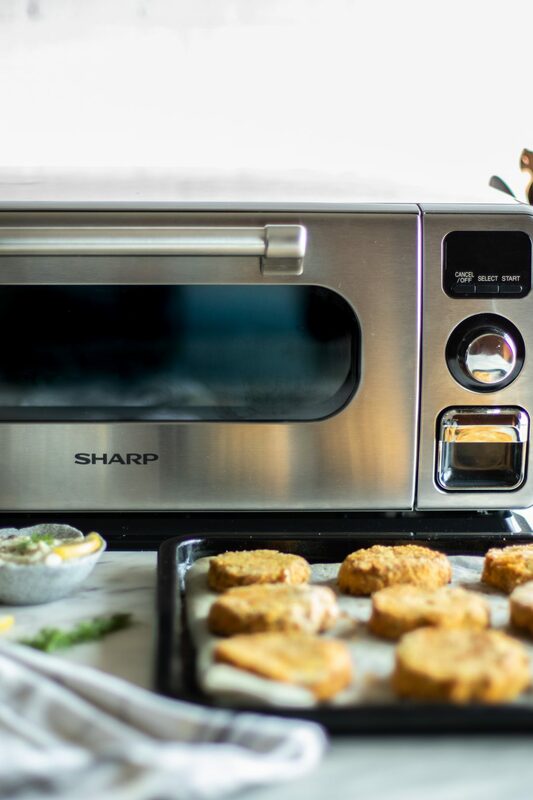 In the Sharp Superheated Steam Countertop Oven, bake at 425 for 20 minutes. 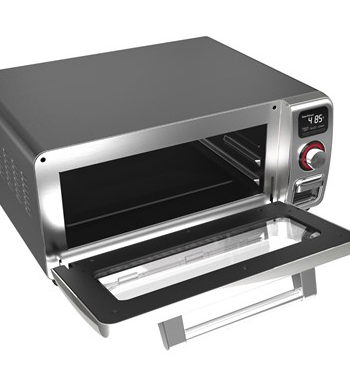 In a conventional oven, bake at 425 for 30 minutes. 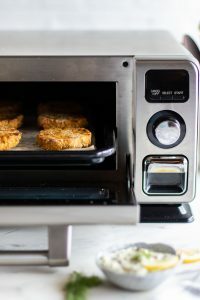 Once the potatoes and salmon are baked, add the sweet potatoes, herbs, lemon juice, onion, jalapeno and sea salt to a food processor, and process until the potato is broken up. Add the baked salmon, and pulse until the salmon is mixed in, but still in chunks. Don’t overprocess. Whisk an egg in a bowl, and add breadcrumbs to a second bowl. Form 1/4 cup sized patties. The mixture is soft and a bit sticky, but form them delicately. The mixture is easier to form into patties if it’s chilled. Dip each patty into the egg, and then coat in breadcrumbs.